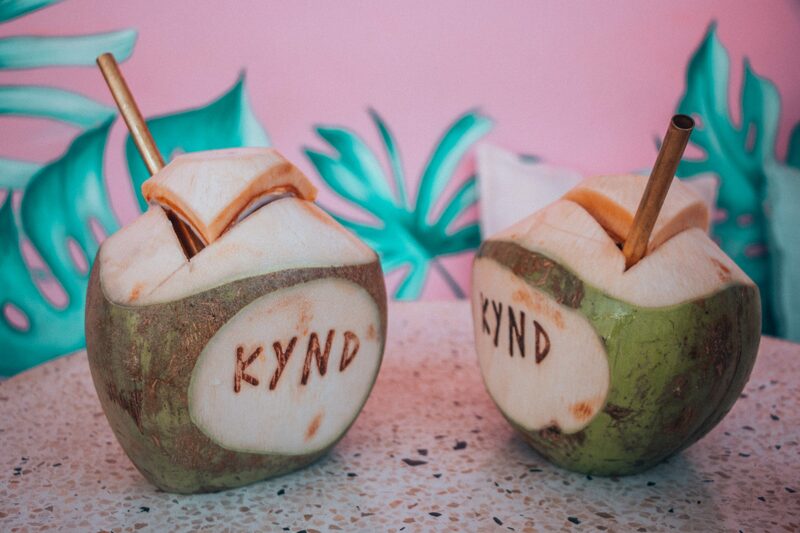 What do Bali’s yogis, surfers, honeymooners and nightlife goers all have in common? Their appreciation for good and fresh food. 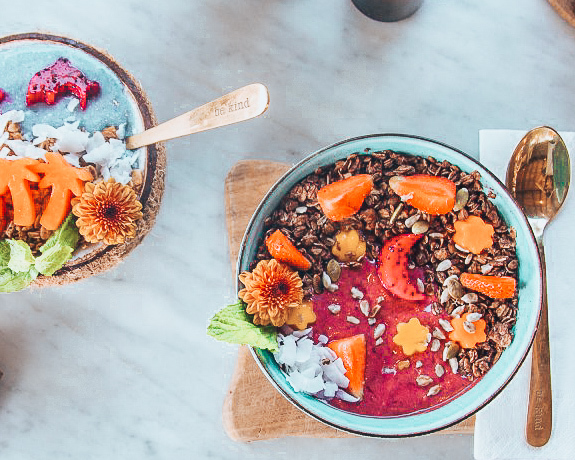 There is definitely no shortage of healthy cafes and trendy restaurants in Bali, making it a foodie’s dream destination. With a plethora of restaurants to choose from, these are my favorite places to eat in Bali. Be wary of your food choices in Bali. It is important to keep in mind that Bali is still a third world country and the risk of foodborne illness is very high. Avoid and be wary of unfiltered ice and water, fruits and vegetables in which you eat the peel, and raw or undercooked foods. Peloton Supershop, Jl. Pantai Berawa No.46 – This eatery is the ultimate spot for vegans and vegetarians. Even if you don’t prescribe to a meat-free diet, the food here is mouthwatering. Two Fingers Bali, Jl. Pantai Berawa No.101A, Tibubeneng – A chic, casual spot for $3 tacos and incredible margaritas. The Lawn, Jl. 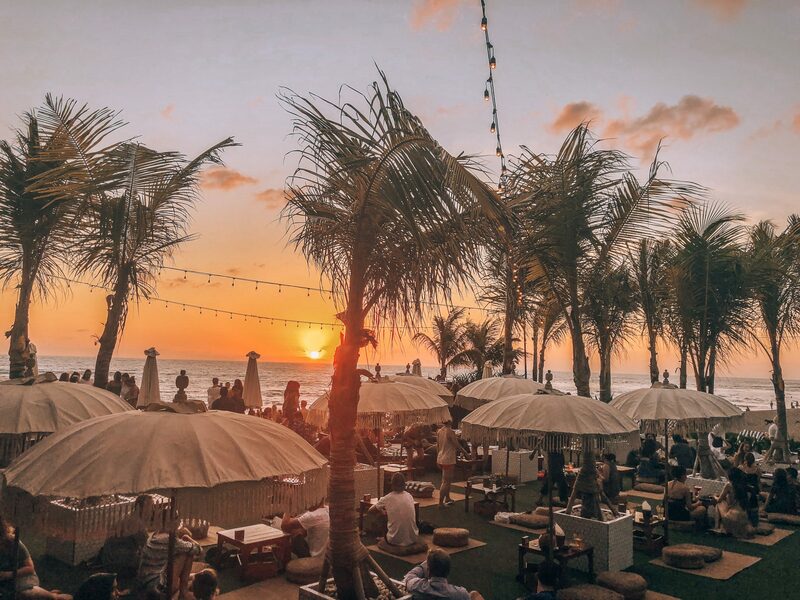 Pura Dalem, Canggu – A Canggu favorite when it comes to beach clubs. This beachfront bar is happening from dusk until dawn. Come for a beach day, stay for the incredible sunset, and enjoy cocktails after hours. The Shady Shack, Jl. Tanah Barak No.57, Canggu – A standout amongst the plethora of health cafes. The zoodles bowl with peanut sauce is definitely a favorite. La Finca, Jl. Subak Sari No.77, Tibubeneng – A lively dinner spot for Spanish tapas and delicious cocktails. Milu by Nook, Jl. Pantai Berawa No. 90 XO, Canggu – This cafe is serious interior design goals, but apart from that, the food is incredible. 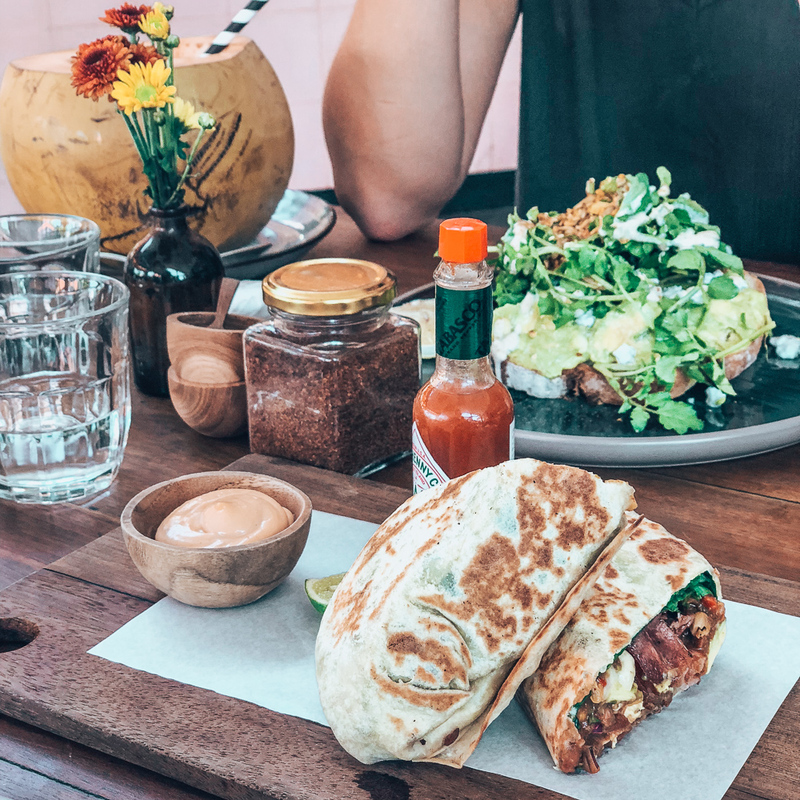 The breakfast burrito and avocado toast are both worth indulging in. Strawberry Fields, Jalan Batu Belig 77, Gang. 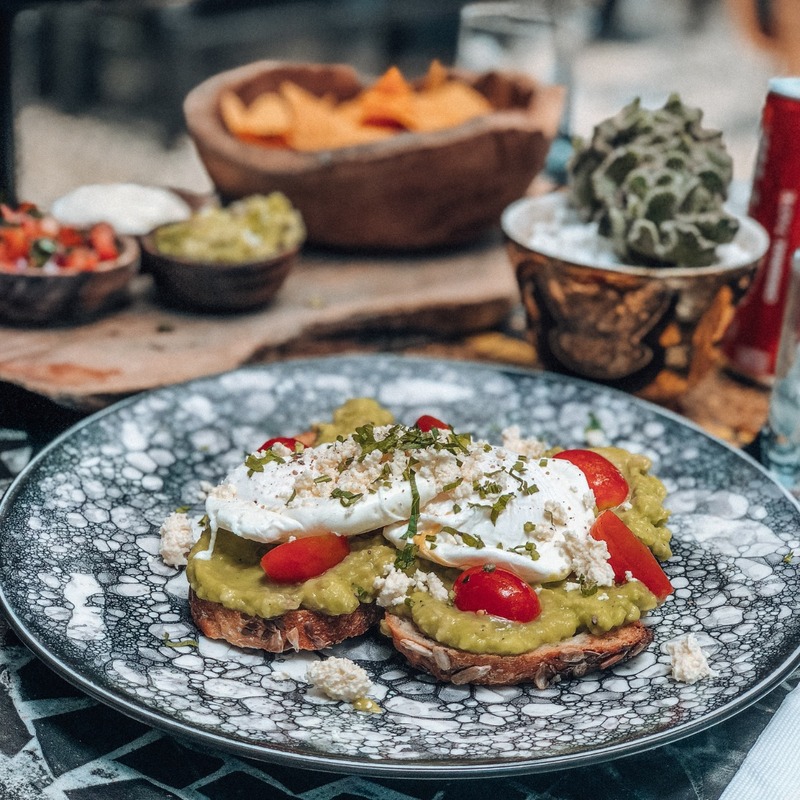 Anisa – This plant decorated hangout serves up the best avocado toast in Bali. Bikini Restaurant, Jalan Kayu Cendana, Kerobokan Kelod – Make a reservation for a fine dining and innovative culinary experience. I highly recommend going with their tasting menu for a bit of everything. Coffee Cartel, Jl. Lb. 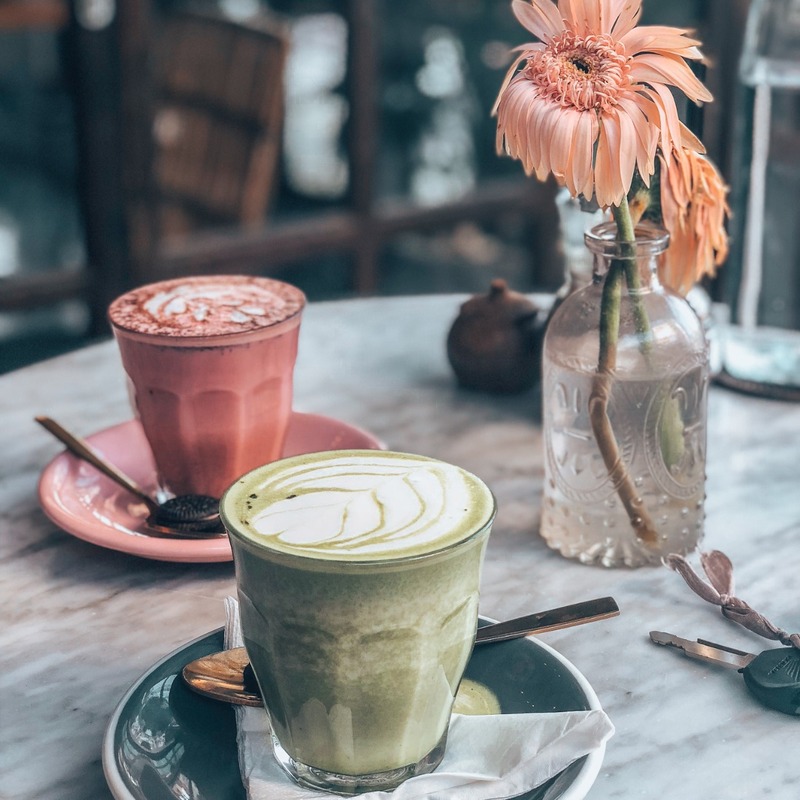 Sari No.18, Kerobokan Kelod – A perfect work hangout or caffeine pit stop, offering a range of coffees and elixirs from black charcoal lattes, matcha green tea, to turmeric golden milk. Motel Mexicola, Jalan Kayu Jati No. 9X, Petitenget – This Mexican inspired bar deserves a spot on your itinerary for happy hour drinks and casual eats. Kynd Community, Jl. Petitenget No.12, Kerobokan Kelod – This place is the epitome of Bali’s Instagrammable cafe movement. Come for the darling pink and eco-inspired decor and stay for the delicious fare. Habitat Cafe, Jl. 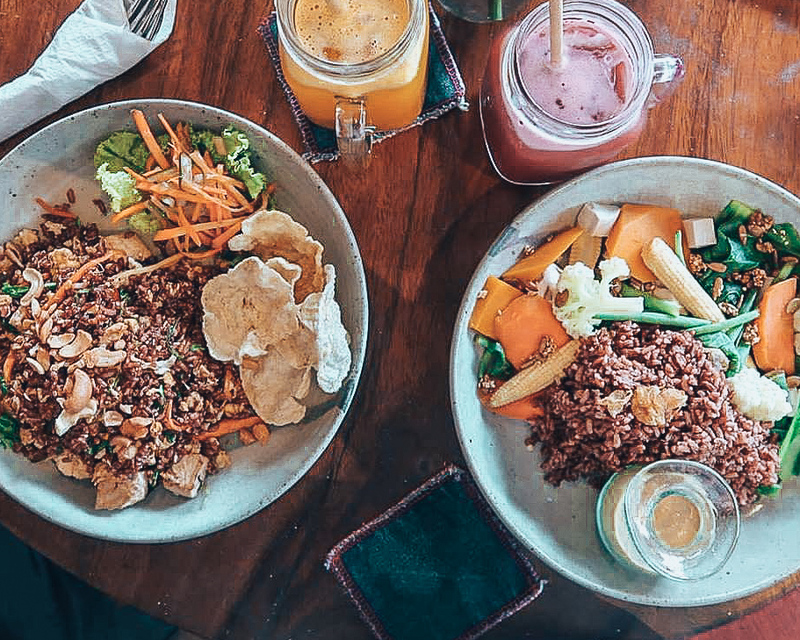 Monkey Forest No.88, Ubud – Refuel after visiting Ubud’s Monkey Forest with a selection of fresh menu items, including noodle bowls, charred octopus and stacked veggie burgers. Tukies Coconut Shop, 14, Jl. Raya Ubud, Ubud – Grab a sweet treat at this ice cream shop that serves up coconut milk ice cream. Kafe, Jl. 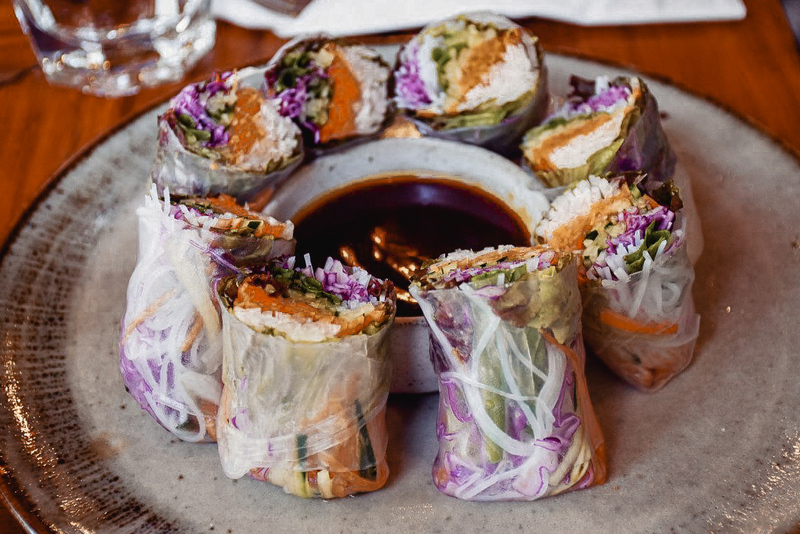 Hanoman No.44B, Ubud – A crowd favorite when it comes to vegetarian and vegan-friendly cafes. Nikkei Ubud, Jl. Monkey Forest No.88, Ubud – A casual sushi hangout with fantastic, fusion type rolls.